Will inspire you and show that the peace of contemplation is not something just for monks, mystics. Richard Rohr was selected as one of a small group of "world renowned experts on contemplative practice and compassion" to speak at the "Sacred Silence: Pathway to Compassion" event in Louisville, Ky., in mid-May 2013, that featured His Holiness the Dalai Lama. The Franciscan friar served as the principle Christian presence--others represented Buddhism, Hinduism, Islam, and Judaism--to speak on the search for God in contemplation, which leads to action that benefits humanity. His role as the founding director of the Center for Action and Contemplation made him a fitting and powerful speaker on the subject. 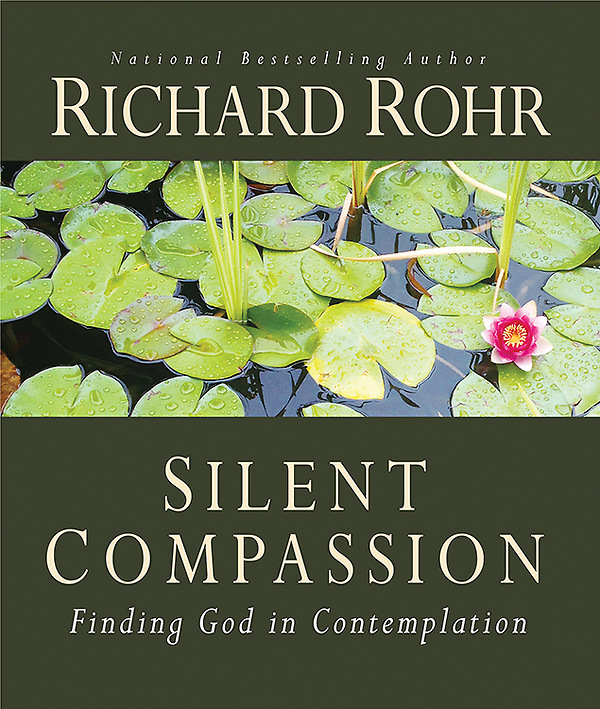 In Silent Compassion: Finding God in Contemplation, Rohr focuses on finding God in the depths of silence, and shares that the divine silence is more than the absence of noise. That silence has a life of its own, in which we are invited into its living presence, wholeness of being, and peace it brings. This silence can absorb paradoxes, contradictions, and the challenges of life, he says, connecting us with the great chain of being. Rohr adds that while different faiths use different languages and different words, all major religions have come at the mystery of God as a dynamic flow--God as communion, God as relationships. Silence then becomes that common place for all. This book will inspire you and show that the peace of contemplation is not something just for monks, mystics, and those divorced from the worries of the world, but rather for all people who can quiet their own mind to listen in the silence.